The 18th century saw the mushrooming of tea gardens in England, starting with London. These wonderful green spaces provided respite from the congested, polluted city spaces and provided an opportunity for socialising in the outdoors during the warmer months of the year. Although tea drinking became popular in England in the 17th century, it was in the 1840s that afternoon tea as a concept came into existence. This is largely credited to Anna Russell, the seventh Duchess of Bedford who is said to have introduced this tradition as a refreshment between lunch and supper. 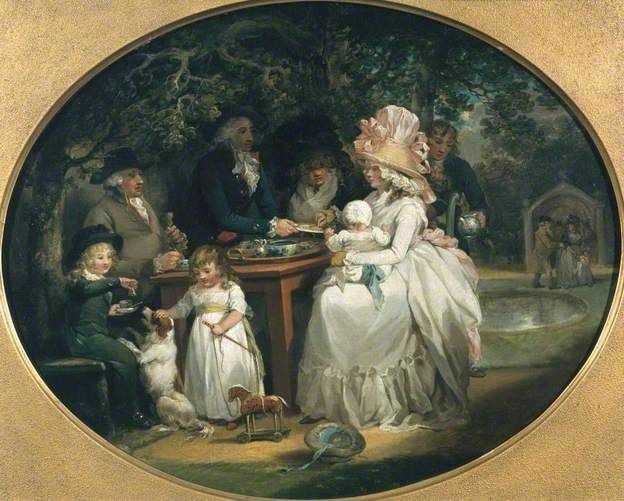 The idea caught on, and soon, afternoon tea was a celebrated ritual around England. The wide-spread enthusiasm for afternoon tea was key in helping tea gardens become popular throughout the country. A smaller version of the pleasure garden, tea gardens were ideal for a day of wandering about through lush flowering plants and fruit trees, meeting friends and of course, drinking tea and indulging in a nibble or two. These enterprises usually popped up on the outskirts of cities, and often included entertainment in the form of bowling greens, large rooms for dances, concerts and performances. They were also perfect for an evening high tea and ale, cheese, tea, coffee etc. were usually available. Although there are records of aristocracy visiting these gardens, they were generally favoured by the middle class. It became popular amongst the ladies, as it was the perfect place to socialize in an outdoor setting with the added bonus of having entertainment. Coffee houses which were also around at the same time were seen as being more in the men’s domain. 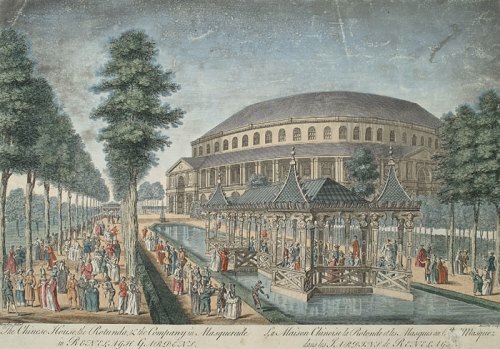 Some of the more popular tea houses of the time were Belvedere, Kensington, and Marlborough tea gardens. The concept of a tea garden was to encourage people to spend a few hours in the outdoors enjoying the warm sunshine, while indulging in tea and good company. This idea can easily be recreated in your own home, with an evening session of tea in your balcony or garden with a few friends. Choose a tea that is a crowd pleaser – a white tea with a fresh floral aroma is a good choice. For a more sophisticated option, choose an oolong tea that has notes of honey and is the colour of liquid sunshine. Pair this with a few plates of finger foods and you’ll come to understand the charm of the tea gardens of the 18th century.